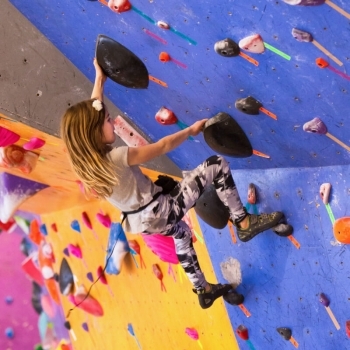 Climbers continue to learn and practice indoor climbing skills in a non-competitive environment. Instructors will incorporate physical conditioning and cooperative learning into this two hour class. 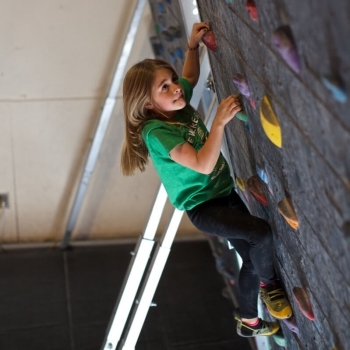 Instruction is individualized and appropriate for everyone up to a 5.12 climber. Please note that classes with 2 children or less may be combined. 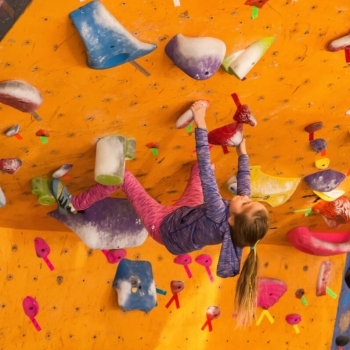 Belay Policy: Starting at age 7, ABC Kids Climbing introduces belay instruction to children enrolled in our classes and clubs. 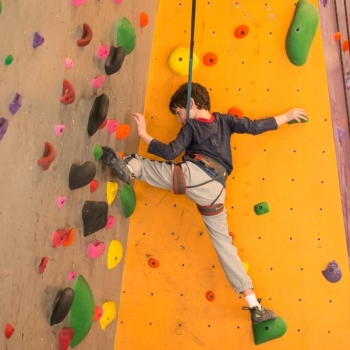 In these situations, children will have the opportunity to belay each other, while under constant instructor supervision. Belaying is a privilege that may be revoked at any time.